Power is harnessed from a motor and right angle vertical solid shaft reducer assembly, mounted in a triangular drive unit(s). 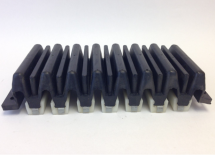 Dual drive unit carousels utilize high-slip design D motors. 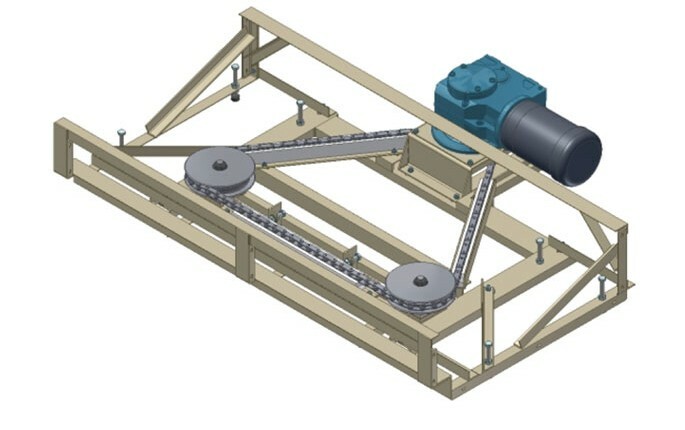 A reducer drive sprocket rotates a horizontal drive chain assembly in a triangular configuration. The drive chain engages the flat sprockets bolted to the pallet supports. 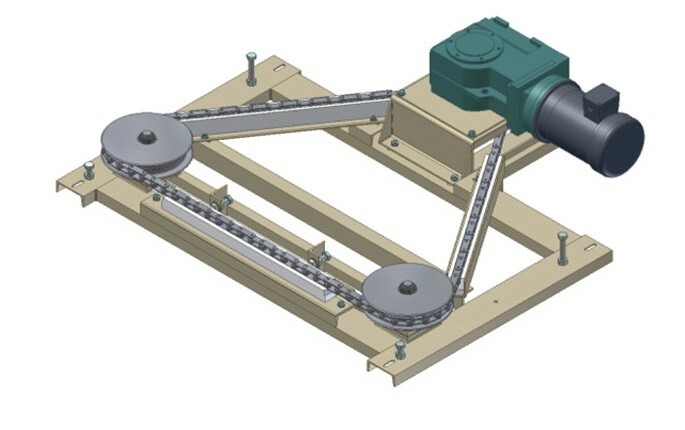 The drive chain is guided and supported by three UHMW channels, located between two idler sheaves and the drive sprocket. Screw adjustments are provided for proper chain engagement, tensioning, and compensation for initial chain break-in, as well as normal wear. Standard gear reducers are Dodge Quantis, Sumitomo Cyclo BBB or SEW Eurodrive KF Series.